Francis Thornhill Baring, 1st Baron Northbrook PC (20 April 1796 – 6 September 1866), known as Sir Francis Baring, Bt, from 1848 to 1866, was a British Whig politician who served in the governments of Lord Melbourne and Lord John Russell. A member of the famous Baring banking family, he was the eldest son of Sir Thomas Baring, 2nd Baronet, and his wife Mary Ursula, eldest daughter of Charles Sealy. Baring was educated at Winchester College and then Eton College. He obtained a double first class from Christ Church, Oxford in 1817 and graduated with a Master of Arts four years later. In 1823, he was called to the Bar at Lincoln's Inn and in 1848, he succeeded his father as baronet. Baring entered the British House of Commons in 1826, sitting as a Member of Parliament for Portsmouth until his retirement in 1865. A year later, he was raised to the Peerage of the United Kingdom as Baron Northbrook. Baring was appointed a Lord of the Treasury in 1830, a post he held for the next four years until June 1834. 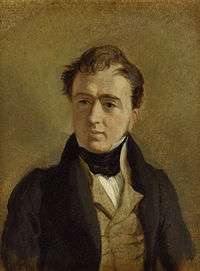 He was then a Secretary to the Treasury until November of the same year, executing this office again between 1835 and 1839. Subsequently Baring was sworn of the Privy Council and joined the cabinet as Chancellor of the Exchequer, serving until the fall of the Melbourne government in August 1841. He returned to the cabinet in January 1849, replacing Lord Auckland as First Lord of the Admiralty in Russell's cabinet, until its fall in 1852. Baring was a member of the Canterbury Association. He met John Robert Godley on 24 November 1849 to discuss educational matters for the proposed settlement in Canterbury, New Zealand, and gave £600 for education as a memorial to Charles Buller, who had died in the previous year. Firstly, on 7 April 1825 at the Dockyard Chapel, Portsmouth, Lord Northbrook married Jane Grey (20 October 1804 - 23 April 1838), daughter of the Hon. Sir George Grey, 1st Baronet, and niece of Charles Grey, 2nd Earl Grey, with issue. Secondly, in 1841 at St George's, Hanover Square, he married Lady Arabella Georgina Howard (25 January 1809 - 10 December 1884), second daughter of Kenneth Howard, 1st Earl of Effingham, with issue. Lord Northbrook died on 6 September 1866, aged 70, and was succeeded by his son from his first marriage, Thomas, who later was created Earl of Northbrook in 1876. Lady Northbrook died in December 1884, aged 75. Baring Bay on western Devon Island in the Canadian Arctic is named in his honour. 1 2 3 4 Dod, Robert P. (1860). 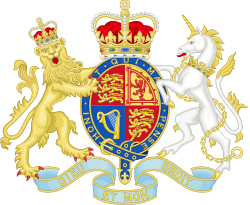 The Peerage, Baronetage and Knightage of Great Britain and Ireland. London: Whitaker and Co. p. 104. ↑ Blain, Rev. Michael (2007). The Canterbury Association (1848-1852): A Study of Its Members’ Connections (PDF). Christchurch: Project Canterbury. pp. 13–14. Retrieved 3 April 2013. ↑ Taylor, Isaac (1898). Names and their histories: a handbook of historical geography and topographical nomenclature (2 ed.). Rivingtons. p. 61. "Baring, Francis Thornhill". Dictionary of National Biography. London: Smith, Elder & Co. 1885–1900. "Archival material relating to Francis Baring, 1st Baron Northbrook". UK National Archives.